It’s not every writer who can pen such a title without facing reprimand. In fact, there really is only one way that such a label can be attributed to one’s boss without fear, and that way goes by the name of Bob Washburn. Or on occasion, Leo the Clown. 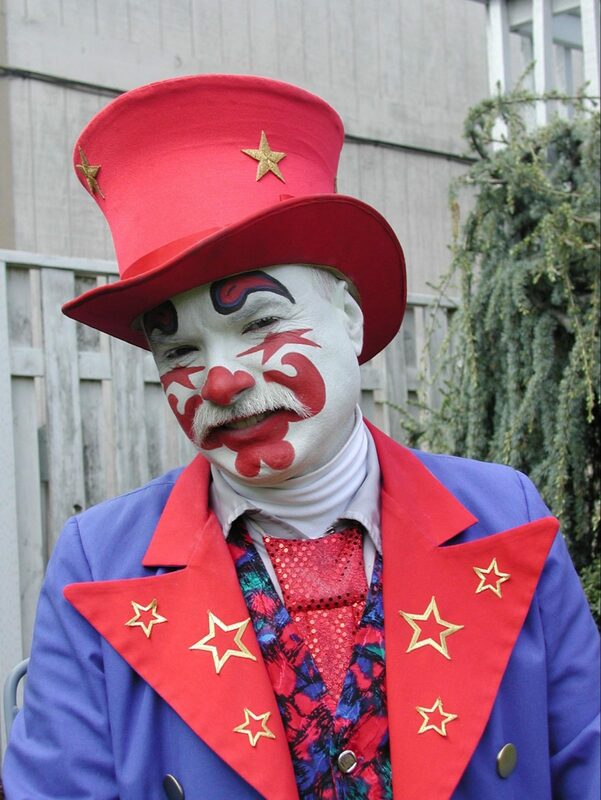 Today, Bob carries the title of CEO of National Event Pros, three letters that speak of success to many but are second to the title that Bob holds most dear: clown. The spark created at the haunted house was immediately channeled into an evening class that the University of Washington offered under a program called “Experimental College.” The class? Clowning. One night per week for eight weeks, Bob dipped his toes into the waters of clowndom and never looked back. And so he took a job—a “real” job—as a press operator for Kenworth, spending his days running a 210-ton metal press. On an especially slow day, Bob put his other skills to work during lunch, constructing balloon hats for everyone in the department. The hats were a hit with his fellow machinists, but not the VP who made an unexpected visit to the shop floor that day. So in 1981, Bob went to Radio Shack and purchased an answering machine the size of a suitcase, some carbon paper, and a $300 typewriter. There in the Washburn living room, Clowns Unlimited was born. Originally designed as a booking agency for clowns, jugglers, and magicians, the business model soon grew to include a destination for the aspiring performer: a clown college. In that era, the department store of choice was a high-end shop called Frederick & Nelson. Their periodic sales were grand affairs, except for just one thing: clowns. 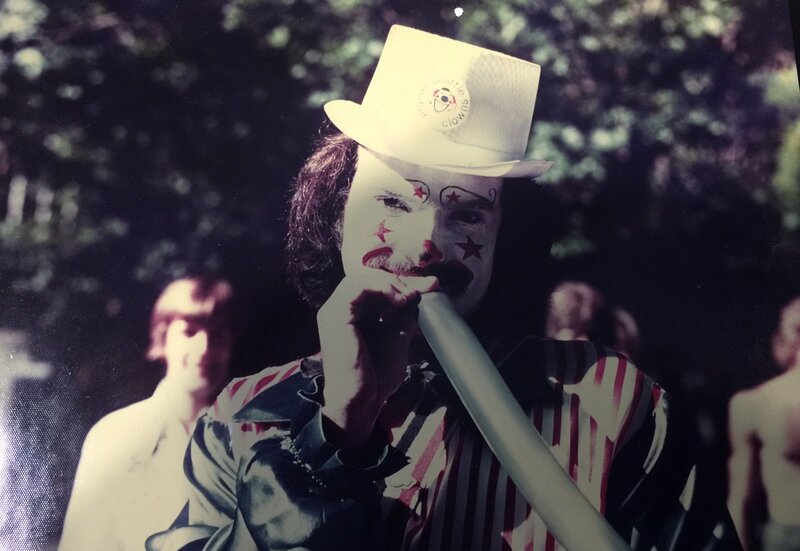 When Bob was unable to get past the gatekeepers of their esteemed marketing director, Verna Thompson, he purchased a bouquet of flowers, donned his clown apparel, and showed up at the Frederick & Nelson offices to deliver “a message for Verna Thompson.” An hour later, he left with a contract for custom-printed helium balloons, clowns, and face painting for their next sale. Soon, Frederick & Nelson made up half of Clowns Unlimited’s business. In 1985, an inflatable bounce house was acquired, bringing with it the opportunity to woo companies into outsourcing their employee picnics. Their gunnysack races would never know what hit them. One bounce house turned into two, then three, then a full catalog of inflatables, including climbing walls, obstacle courses, and giant slides. In the mid-2000s, events grew larger and larger, eventually including some of the country’s biggest corporations. 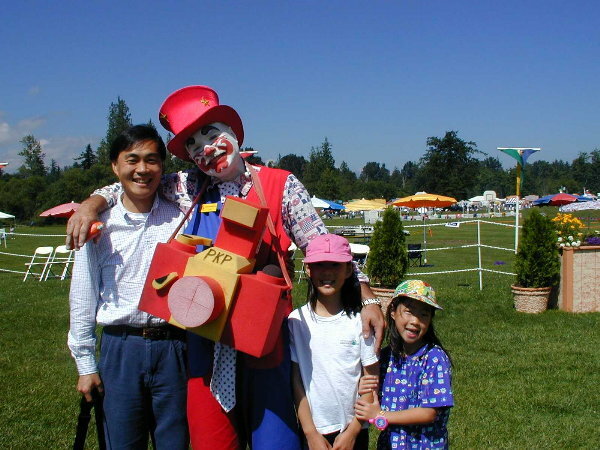 A 60,000-person picnic over three days with thirty rides, eight clowns, and ten face painters required all hands on deck, including those of an old friend: Leo the Clown. As event production grew and demand for clowns shrank, Clowns Unlimited changed its name to National Event Pros. While NEP’s location in the phone book has changed over the years, its DNA has remained untouched. Several members of the management team got their starts working in the rental warehouse. The current entertainment director was first a student in the clown college. And one of the sales people is a childhood friend of the man who would be called Leo the Clown.